We receive a number of enquiries from clients who own businesses who are owed money from other businesses either through them failing to honour a Contract or failing to send payment on time. Most business Contracts will contain terms in relation to payment of interest when any payments become overdue. However, when the Contract is a verbal one or there are no written terms then there are also rules in Law that allow you to charge what is known as ‘Statutory Interest’. These rules are covered by the Late Payment of Commercial Debts (Interest) Act 1998. The Act has two main purposes. The first is to compensate creditors for the late payment of debts and secondly it is supposed to act as a deterrent for late payment. 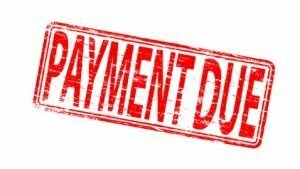 When does the Late Payment of Commercial Debts (Interest) Act 1998 apply? There is a commercial supply of goods and/or services – this means business to business transactions. When the Terms of Business or the Contract does not contain any clauses covering late payment and interest. Statutory Interest means an interest rate of 8% above the Bank of England Base Rate. The Late Payment of Commercial Debts (Interest) Act 1998 also carries an additional penalty for late payments. This means that between £40 and £100 per Invoice can be charged as compensation on top of the Interest Rate claimed. It depends on how much the debt is for. Up to £999 – £40 per Invoice. £1,000 to £9,999.99 – £70 per Invoice. £10,000 or more – £100 per Invoice. You can also claim your reasonable costs for the time that you expend in trying to recover the debt. This can include the cost of any credit control procedures that your business needs to undertake as well as the cost of instructing a Debt Collection Agency or a Solicitor to recover the debt. What do I do if I want to Claim Interest under the Late Payment of Commercial Debts (Interest) Act 1998? If you do not have any terms in the Contract setting out payment of interest if monies are due and they are late then you rely on the 1998 Act. You do not need to issue a separate Invoice for the interest, compensation and costs. All that you need to do is write to your customer and tell them the amount that becomes due and when it should be paid as well as a daily rate of interest. You also do not need to warn your customer either beforehand or afterwards about claiming this Statutory Interest. It is written in Law and is therefore there for you to rely upon if payments are late. If a debt is owed by a public body then under the EU Directive on combatting late payments in commercial transactions that came into force in March 2013 payment has to be made within 30 days. This would entitle you to claim the interest automatically without having to send a reminder or notifying them. A public authority/body is obliged under Law to pay it and it remains at the rate of 8% above the Bank of England Base Rate. The public bodies are not, in accordance with this EU Directive, allowed to fix a lower rate of interest. The 1998 Act coupled with the 2014 EU Directive are designed to try to break the culture of late payments. They are there to deter businesses from delaying payments by imposing significantly higher interest rates than you would normally see in a commercial transaction. If you own a business and are owed monies but you do not have either a written Contract or any terms in your written Contract that set out interest payments then you may be able to rely upon the 1998 Act. For further information and for advice on what options are available to you for recovering a debt please do not hesitate to contact us on 01654 711499/01341 281108 or email abright@alwenajonesbright.co.uk. We will be posting a separate Blog setting out your options for recovering a debt whether that debt is commercial or due from an individual consumer so look out for that in the future for more information.